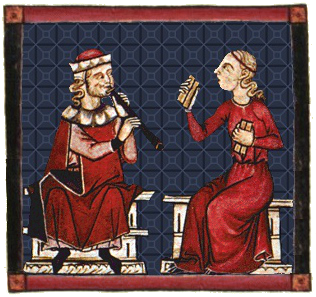 A complete edition of the lyrics and music of the 13th century Cantigas de Santa Maria of Alfonso X El Sabio, specially prepared for singers and instrumentalists. If you're new to the site, read the Introduction for a bit of background. Otherwise, you can explore the menus at the top of the page or jump straight to the Main index.